Howard Vance Classical Guitarist Howard Vance has studied, performed, taught, and composed for three decades. His primary influence was classical guitarist Bunyan Webb. 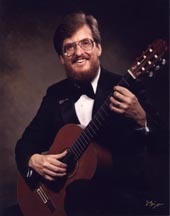 Mr. Vance received his Master's degree in music theory and composition from the University of Memphis in 1974 and opened Howard Vance Guitar Academy the same year. The school serves as an outlet for his arrangements, publications, recordings, and instructional materials. Howard performs with his wife, Beverly, as Duo Vance.They have four albums and a concert tour of Venezuela to highlight their accomplishments. Beverly Elliotte Vance Flutist Bevery Elliotte Vance first studied with Paul Eaheart, then Bruce Erskine at the University of Memphis. 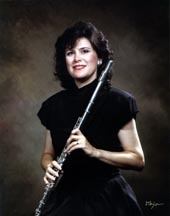 Mrs. Vance earned a Bachelor of Music Education degree in 1978 and a Master of Music in flute performance in 1991. She has served as principal flutist with The Memphis Civic Orchestra and was president of The Mid-South Flute Society. Since her marriage to Howard, Beverly is the "Toot" in TootPick Publishing. Beverly and Howard also perform as Duo Vance. They have four albums and a concert tour of Venezuela to highlight their accomplishments. Larry Cunningham Pianist Larry Cunningham is a gifted entertainer, teacher and musician. He has studied and played piano since the age of four. From directing church choirs to holding court in popular piano bars, Larry entertains, helps, and teaches young and old. Initially influenced by the major classical composers, Larry now commands a variety of styles - from the standards of the'40s, jazz improvisation, rock, show tunes, to new-age piano! He has held the Academy position as piano, organ, accordion and voice instructor for eighteen years. Students enjoy their lessons and keep coming back because Larry makes it fun. He cares about students and their music making. Let Larry's love of music and experience guide you. Tom "T-Bone" Lawless Young Tom "T-Bone" Lawless watched his brother switch from rock n' roll bass to bluegrass banjo, and was exposed to everything from Frank Zappa to Flatt and Scruggs. Attacking the guitar in 1974, T-Bone started with ragtime and bluegrass. He quickly moved on to rock, blues, country, jazz and classical, stopping at all points in between. After studying music at Old Dominion University, he marched into the Army. Graduating from the Armed Forces School of Music, he spent three years as a guitarist in the Army Band. Changing ships in 1986, he joined the Navy Band, playing guitar with them for nine years. Always broadening his "chops," Tom picked up the banjo, mandolin, bass, harmonica, dobro, and tenor ukulele along the way. He joined the staff of the Howard Vance Guitar Academy in 1995, where he enjoys teaching all ages and skill levels, from brand-spankin'-new players to seasoned professionals. Holding a double master's degree from Radford University in Music Composition and Guitar Performance, Paul Masinelli seeks to cultivate musicianship and technical abilities in his students from the ground up. Having clear cut goals from learning a favorite riff to mastering a three movement sonata is paramount for motivation and continued interest in musicianship. Educating all ages from 3 to 73 and continuously bringing an aura of positivity, Paul is well equipped to spark your musical interests and desires, no matter the size or ability. With Paul at the helm, there is a guiding light down what may be a daunting road. Areas of expertise include: Classical guitar technique and musicianship; Electric Bass in any style; Music Theory and Composition; Songwriting and crafting; Beginning piano; General guitar education and foundation; and arranging/orchestration. In addition to teaching at Howard Vance Guitar Academy, Mr. Masinelli leads a busy lifestyle playing at corporate parties, weddings, restaurants, fundraisers; anywhere that special touch of music is desired. 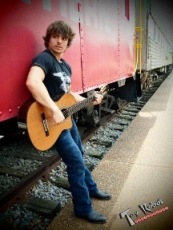 He is also an active composer and songwriter seeking to stake a claim in this musical frontier of Memphis. Tom Nunnery Tom Nunnery, "best unsigned blues guitarist in the world," (Bluestock-Memphis, 1998) was born in Memphis on February 2, 1957, and started learning guitar with his grandmother at age 5! The family relocated to New York and Tom began playing in bands at age 10. He moved back to Memphis and started playing professionally at age 15 in the Sheraton Airport's Grounded Ace.During the 11th grade, Tom worked in an Atlanta recording studio with Ted Nugent on demo tapes which became Nugent's first solo album. While on the road, Tom also jammed with Hendrix bassist Billy Cox. In 1979 Tom formed a band with his brothers Mark and Richard called "The Nunnery Brothers Band." They recorded albums with Jerry "The King" Lawler. Tom is still Jerry's musical director. 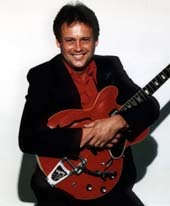 From 1980 to 1984, Tom taught at Howard Vance Guitar Academy and studied with Howard to refine his guitar technique. The Nunnery Bros. became the Memphis Tomcats and relocated to Destin, Florida to be Nightown's house band. In Florida, Tom was the opening act for Robin Trower, Great White, Chubby Checker, Wet Willie, and Lynyrd Skynyrd. Working with the Memphis Tomcats, The Diamonds and Bowzer, Tom has played every casino in Mississippi. Elvis, the Beatles, Hendrix, Clapton, and B.B. King are Tom's main influences. He also plays keyboards, bass, trombone, and harmonica. 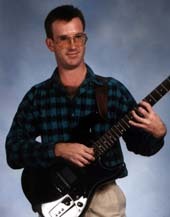 Tom Nunnery aspires to be one of the greatest guitar players ever. Let him help you reach your musical goals. Eddie Slusser Eddie Slusser picked up the guitar in 1962 and no one ever had to tell him to practice. A professional musician since 1969, Mr. Slusser has appeared with such stars as Ricky Skaggs, Ronnie Milsap and Charlie Daniels. He has toured the U.S. and Canada with Jerry Lee Lewis. One of his compositions was recorded and released by Ace Cannon. In addition to teaching, Eddie continues to remain active in the music industry by composing, producing, and performing. He teaches guitar (any style) as well as electric bass. 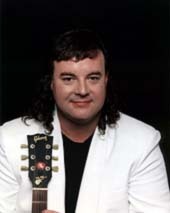 Eddie has taught full-time at the Howard Vance Guitar Academy since 1993. Eddie loves teaching and his students love him.